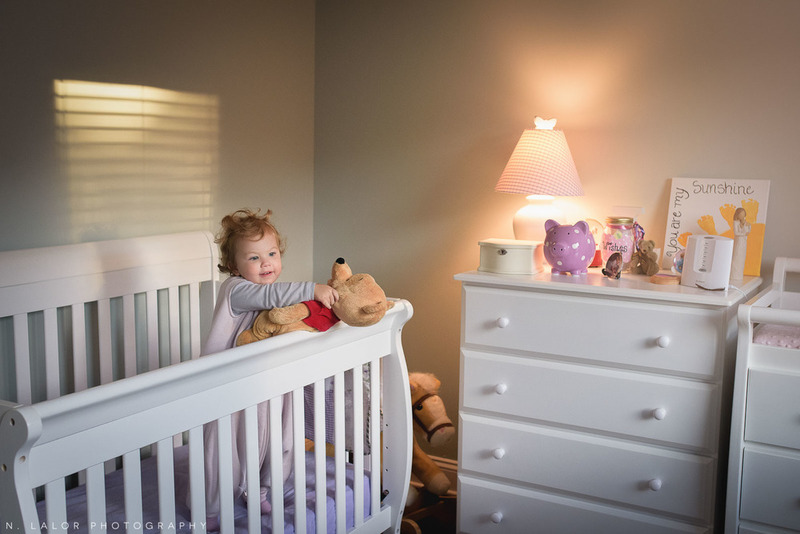 “One Morning” is a documentary photography project done in partnership with Fairfield County Mom’s Blog. It is a rare an intimate peek into the everyday lives of moms, one morning at a time. Vera lives in a gorgeous home in Southport Connecticut. I say it’s pretty fitting for her beautiful family! The interior is painted in the most lovely wall colors (that they picked themselves) and filled with stylish coordinating furniture and accessories that bring everything together. I’m telling you all this because I’m slightly obsessed with houses and interior decorating (especially homes of people who have kids!). And when I complimented Vera on her home, she laughed and told me that her husband will be happy to hear that. Apparently he’s the who does all the interior decorating! Both Vera and her husband work outside the home, so our morning was spent getting everyone ready for the day. She made the most amazing breakfast for the family as Dad made the bed, and then helped wake up their daughter, Lena. He also did the diaper change.. lucky Dad! One amazing breakfast later, he was on his way to the train station on his bicycle, while Vera took care of Lena’s hair, got lunch together, got dressed, and even had a few minutes for play before it was time to go. The morning was certainly busy, but I was amazed that there also wasn’t any hectic rushing. Vera and her hubby obviously have the whole ‘getting ready’ thing down.. they each have their own specific tasks to take care of and it’s a smooth-running process as a result. The photos give a glimpse of this extremely well put together family, and definitely check out Vera’s writing to get to know her a bit! And don’t forget to read Vera’s post about her morning on Fairfield County Mom’s Blog.